Oct. 8, 2014 — N.D.B. Connolly, a professor of history at Johns Hopkins University, is the author of the book, A World More Concrete: Real Estate and the Remaking of Jim Crow South Florida. Connolly’s work delves into the way that real estate strengthened segregation in greater Miami from the early 1900s into the post-Jim Crow era. 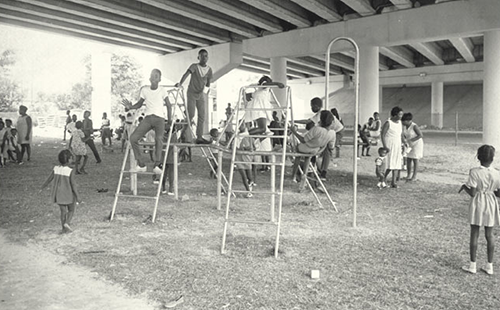 As Miami’s population boomed, where residents came to live was limited by strict lines drawn through the region’s geography, lines that divided white and black, workers and elites. The interview focused on the deeply interactive nature of the real estate market and Jim Crow, and also dealt extensively with the reality of the extent to which some segments of the African-American population in Miami benefitted from the practices.